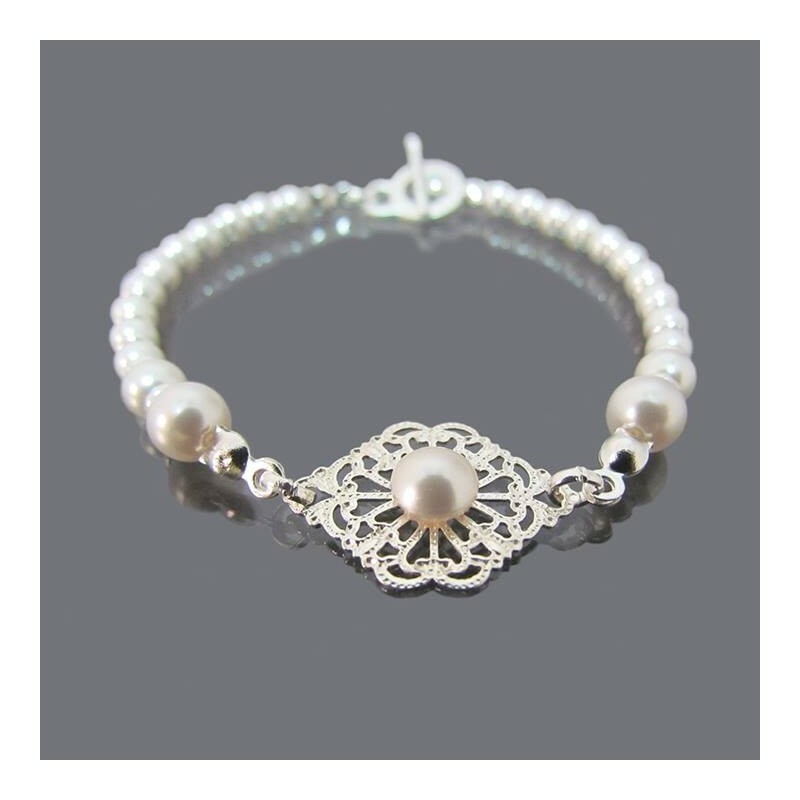 Delicate silver filigree and pearls bracelet, designed exclusively for brides and special occasions. 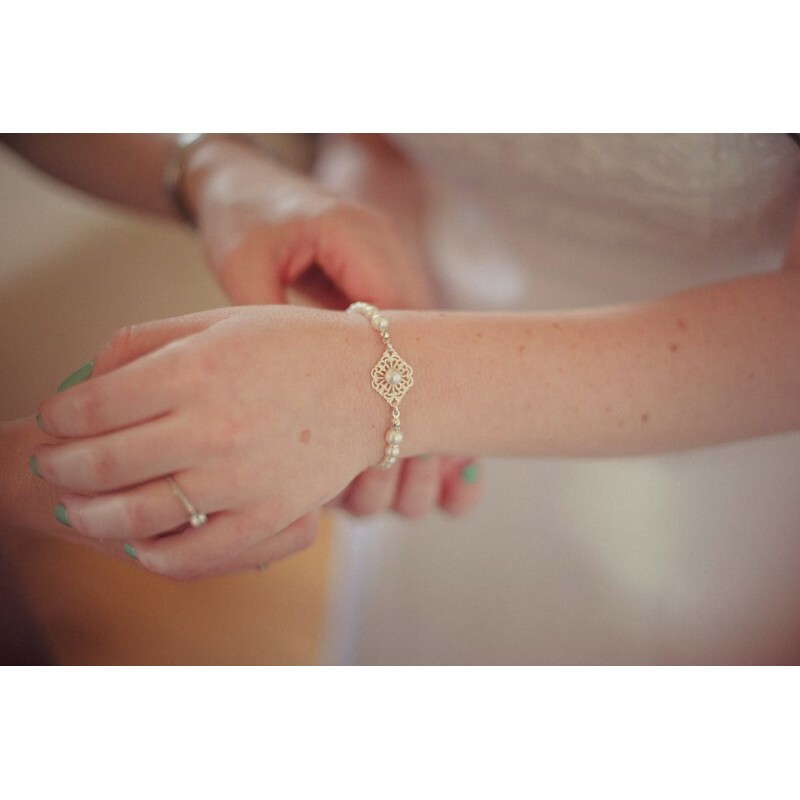 The bracelet is made of white swarovski pearls and silver plated links and small pendant. All my creations are made with love an special care in each detail. 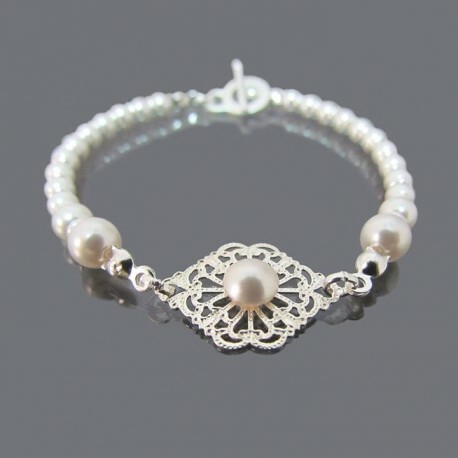 Bracelet length: 19 cm 7.5"